So this is awesome bug looks just great, as you can see for yourself. 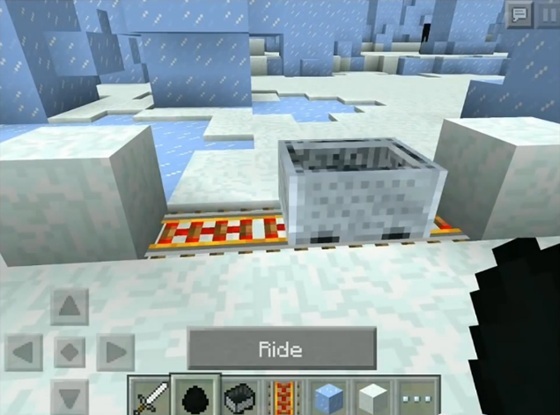 To create on his map of the same snow, all you need to do is put a few carts that will travel back and forth, and then put them in a couple of Enderman. As you can see, it looks brilliant. 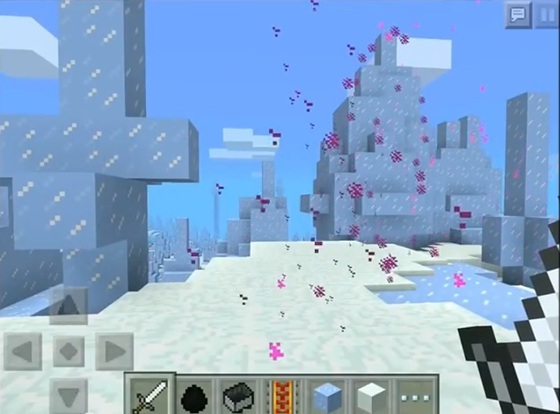 So, move to any good and beautiful land, I suggest doing it in a snowy biome, so the effect will be much steeper. Then place two blocks facing each other, fill the space between the electric rails, put them on the carts. As soon as it begins to move, put it in the Enderman, then add some more carts. As soon as they will be enough, they will begin to crash, and that's so chaotic move, put Enderman of all carts. And they begin to generate this stunning effect, which is extremely similar to the snow. That is, in general, and all!